WEA Signature international medical insurance has become better! WEA Signature international health insurance at https://www.gninsurance.com/wea-signature/ is one of the great overseas career insurance options we provide to our guests, you! WEA has had a long history in serving expatriates and missionaries outside the U.S. Continuing a long legacy that began in 1965, WEA has today the pioneering spirit, a clear vision, and a commitment to meeting the needs of expatriates living abroad by providing quality international health insurance plans to individuals, families and groups with global healthcare needs. When it comes to protecting what matters most, you can count on us for your health and your family’s well-being. So whether you are moving to Tokyo to teach for two years, relocating to Indonesia to teach at an international school for a few years or flying with your family to your new job in Frankfurt, WEA has an international health plan that is right for you. One of the WEA Signature insurance options is their Select plan which you may view here at https://www.gninsurance.com/wea-signature/. The WEA Signature Select plan option offers you a more comprehensive international health insurance package than the WEA Signature Care plan option. While it also includes full emergency room, surgery and outpatient medication benefits and multiple deductible options, WEA Signature Select also includes an increase in lifetime maximum benefits, along with full hospitalization and intensive care coverage. And many more benefits at https://www.gninsurance.com/wea-signature/. Within the United States, however, UnitedHealthcare will remain as our preferred network carrier. UnitedHealthcare is the largest most diversified healthcare company in the U.S., and is recognized as the top ranking company in the insurance and managed care sector. Leveraging these provider networks will grant us the ability to efficiently meet the needs of our insured members per region. In addition, these networks allow us to control cost in order to offer competitive premiums worldwide, improve communication, and deliver a better customer experience. 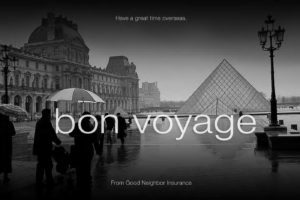 Please call our licensed international insurance agents for additional information on our international career insurance options. You may email us at info@gninsurance.com or call us in the U.S. as 480-633-9500 in U.S. Our 800 number is 1-866-636-9100. Our office is located in Gilbert, Arizona in the Metro Phoenix area (about 30 minutes from the Phoenix Sky Harbor International Airport). To view all of our international career insurance options please go to our web page at https://www.gninsurance.com/long-term-international-health-insurance/.